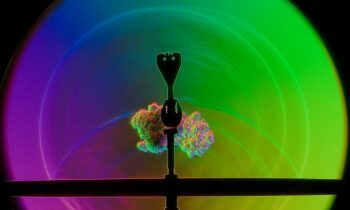 Phred Petersen, Senior Lecturer, Media and Communication, RMIT University, Blastwaves and malaria-infected blood cells are just some of the amazing images shown at the exhibition – stretch your mind and your perceptions to look into micro worlds. The winners of the 2008 Prize were Phred Petersen (first); Steven Morton (second), Katrina Putker (third). 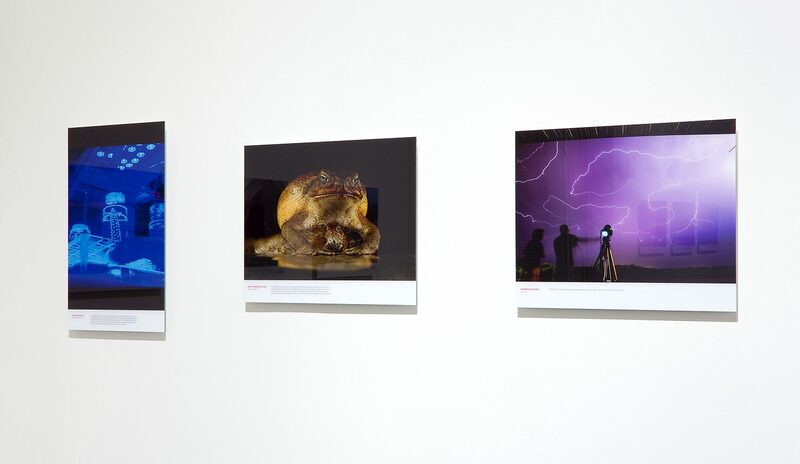 Installation image by Mark Ashkanasy, New Scientist Eureka Science Photography Prize, RMIT Gallery, 2010.